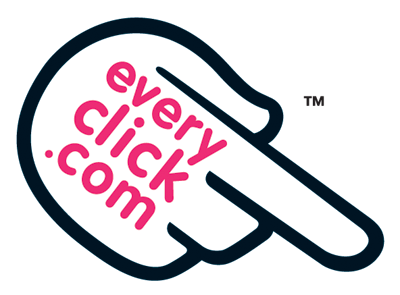 If you are an internet user, you can help fundraise for Crownway Community Centre—or any charity of your choice—by quickly signing up for a FREE basic account with www.everyclick.com and using it as your main search engine. Each search you make raises money which will be donated to your charity of choice. 1. To create an account with Everyclick, click on ‘sign in’ in the account bar in the top right hand corner of the web page (see below). Don’t worry if you have the name of a charity instead of ‘All Supported Charities’ below this link, you can change this at any time. 2. Then choose ‘Not registered? Sign up now’. You will then be taken to a form where you can fill in your details. We do not show any of your personal details on the site other than your name. 1. To find a different charity to support or to donate to, select ‘charities’ from the drop-down menu of categories in the Everyclick search bar on any page and enter the name of your charity. 2. In the search results, click on the name of the charity you’ve searched for, then mouse-over the ‘Give now’ button on their page and choose which action you’d like to perform. To change your charity for searching the web choose ‘Search the Web’. 3. If you would like to choose a fundraising page to support instead of a charity, choose ‘fundraising’ from the drop down menu of categories on the search bar and enter the fundraiser’s name. 4. There is also an option to change your supported charity or fundraising page in your account on the ‘my profile’ tab. 5. Alternatively, you can make a one-off donation to any charity or fundraising page on the website without changing your ‘Give as you Live’ charity or page, via the ‘Donate’ option. To change your homepage in Internet Explorer, go to ‘Tools’ on your browser’s tool bar, then go to ‘Internet Options’ and ‘General’. Enter http://www.everyclick.com into the space for your homepage, or any other URL you choose, or click the ‘Use current’ button if you are already on the page you want to use. In Firefox, go to ‘Tools’, ‘Options’, ‘Main’ and enter your home page address. If you are using a Mac and your browser is Safari, go to Safari on your top tool bar, then ‘Preferences’ and ‘General’, and enter http://www.everyclick.com, or the URL of your choice, into the space for your homepage. If you are using a Mac and your browser is Firefox, go to Firefox on your top tool bar and follow the same procedure as above.